Clanwilliam Group, headquartered in Dublin, provide healthcare and technology products and services. Clanwilliam Group was formed by bringing together a number of healthcare technology providers, and cumulatively these services are trusted by tens of thousands of users in clinics across the UK and Ireland, Australia and New Zealand as well as other worldwide locations. Over the course of the next five years Clanwilliam Group hope to grow through an ambitious expansion plan, which will see them acquire like-minded businesses and expand their core markets. A key challenge for Clanwilliam Group is how their healthcare providers ensure they’re always ready and able to communicate with patients via text message. Clanwilliam Group healthcare providers regularly use SMS to send test results and appointment confirmations / reminders to patients. As a result, patients receive communications reliably and through a channel they’re unlikely to ignore, while Clanwilliam Group’s healthcare providers enjoy a notable drop in missed appointments. However, the continued success of the platform created an issue in that when an SMS balance top up was required, the healthcare provider would either have to manually call Clanwilliam Group or Esendex. Topping up each healthcare provider's SMS balances over the phone was laborious and expensive - while contacting Esendex directly meant that Clanwilliam Group had no level of traceability for each provider’s SMS usage. Similarly, Clanwilliam Group's healthcare providers were keen to reduce the amount of time it took to manually make a call and top up their SMS balance. What were Clanwilliam Group looking for? A self-serve centralised environment, which allowed their healthcare providers to purchase credits quickly and easily, without the need to contact Clanwilliam Group or Esendex. A web based platform, which could be accessed from any location and on any device. The ability for healthcare providers to automatically top up their balances once a certain threshold had been reached. The ability to create new healthcare provider accounts quickly and easily. The new solution should utilise Clanwilliam Group’s existing payment service provider, which allow payments to be taken in pounds and euros. The ability to audit all healthcare providers accounts. A robust and reliable messaging platform which would allow their healthcare providers to communicate with patients in an engaging way. As an existing Esendex customer, Clanwilliam Group were happy to discuss their bespoke software requirements with our award winning Professional Services team who are experts in designing, developing and deploying custom communication workflows. Esendex and Clanwilliam Group worked very closely together on this project, both in terms of scoping out the initial requirements, and as a regular means of providing progress updates and managing changes. These meetings removed a lot of red tape, which meant that in the event of a change request, the change could be delivered much more quickly, removing friction during the design and delivery phases of the project. On completion of the project, Esendex were able to deploy an easy to use, fully branded, online platform which fulfilled 100% of the requirements raised by Clanwilliam Group. “Partnering with the Esendex team has taken all of the stress out of implementing the platform. We couldn’t have asked for an easier delivery." What are the benefits to Clanwilliam Group? 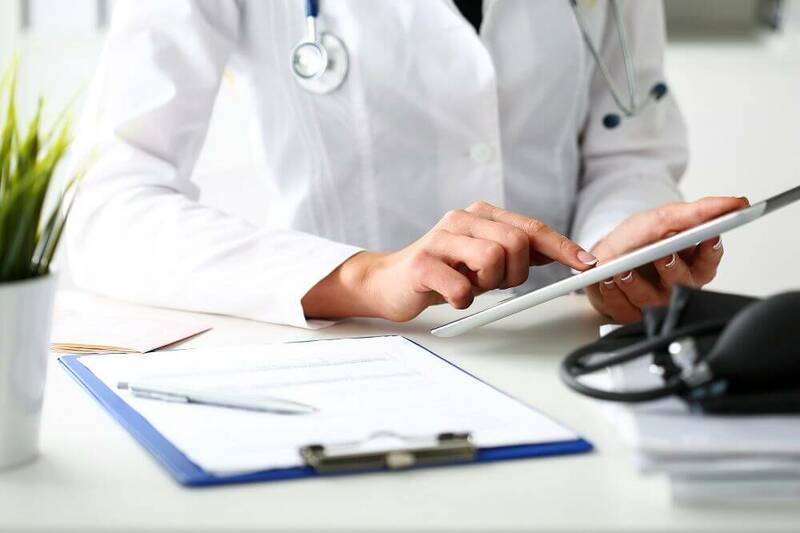 Complete automation of the SMS top up process, with no requirement for any manual calls between Clanwilliam Group, their healthcare providers, and Esendex. The platform has freed up Clanwilliam Group’s telephone lines, allowing their in-house staff to carry out other tasks. Speeds up the SMS purchase process, meaning that if the healthcare provider runs out of credits, the amount of downtime is reduced. Clanwilliam Group healthcare providers can even set up an auto top-up when their balance reaches a certain threshold. As a web based platform, the solution can be accessed from any location, and on any device with an internet connection. The Esendex solution seamlessly integrated with Clanwilliam Group’s existing payment provider systems, meaning existing services and relationships could be maintained. As Clanwilliam Group now manage the purchase of credits, they have been able to pass on savings to their subsidiary businesses. "As Clanwilliam Group continues to grow, we need to continue implementing scalable solutions to all areas of the business - and this includes the way we distribute SMS credits to our healthcare providers. Our customer service/support teams were spending an ever increasing amount of time on the phone manually topping up SMS accounts, which became a nuisance and an annoying drain on resource. We saw this as an opportunity to switch things to a self serve strategy and allow our healthcare providers to acquire their own credits, which would also free up our team’s time. The platform has certainly delivered that. Partnering with the Esendex team has taken all of the stress out of implementing the platform. Once we’d provided our initial set of requirements, Esendex got straight to work. We’ve been provided with regular update reports, and plenty of opportunity to provide feedback and change requests. We couldn’t have asked for an easier delivery".